In 2017, in the run-up to the RK Nagar bypoll in Tamil Nadu necessitated after former chief minister J Jayalalithaa's death, an Income Tax Department raid at the state health minister's home had found that the ruling AIADMK had allegedly planned to distribute Rs 89 crore among the two lakh voters. A Chennai resident had described the RK Nagar by-election as "auction". Today, with a much larger election looming, there's an even bigger auction underway in Tamil Nadu (or so it seems). In fact, the cash-for-votes crisis escalated to such an extent in the state that the Election Commission was forced to recommend cancelling the Lok Sabha election in Vellore, after which President Ram Nath Kovind rescinded the polls on Tuesday. 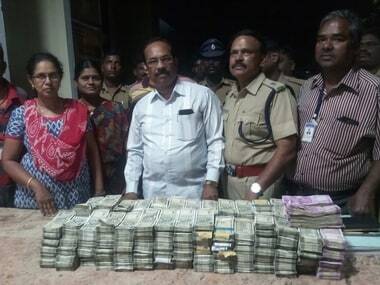 This was after I-T sleuths found a stash of Rs 11.5 crore in cash at the houses of DMK's Vellore candidate Kathir Anand last week, charging him under the Representation of the People Act for giving "wrong information" in his election affidavit and two party functionaries for bribery. On Tuesday, Anand wrote to the Election Commission, accusing it of colluding with the BJP to help AC Shanmugam, the Vellore candidate fielded by its ally AIADMK. 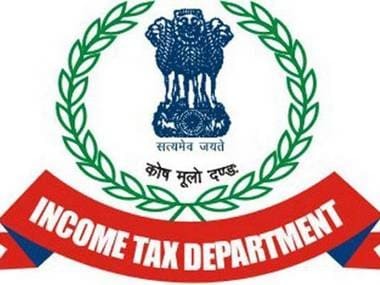 Soon after, it was learnt that the I-T Department, in another raid, had seized Rs 1.48 crore in cash in Tamil Nadu's Theni district — where a bypoll is scheduled in the Andipatti Assembly segment for Thursday — from a location from where TTV Dhinakaran's AMMK ran a party office. Investigators found the cash "neatly packed in 94 packets" as well as envelopes on which the ward number, number of voters and "Rs 300 per voter" was written. 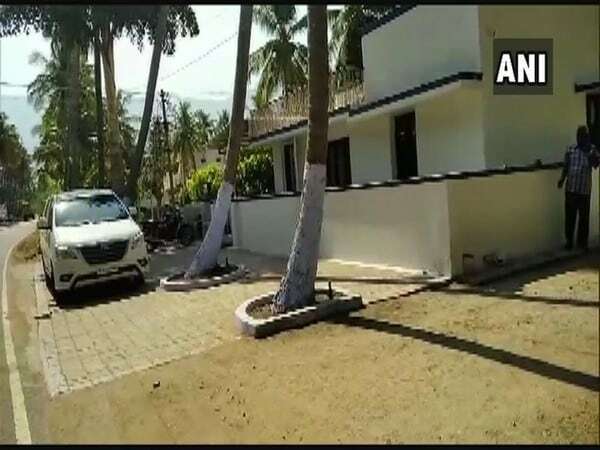 On 30 March, I-T sleuths had also seized Rs 20 crore from raids conducted at the home of Anand's father, DMK treasurer Durai Murugan in Vellore. During this search, too, investigators had found a lists of voters' names as per their wards and booths, indicating that the money was meant to bribe the electorate. Money raining on voters is no new phenomenon in Tamil Nadu, where it emerged during the RK Nagar bypoll that people had no qualms about accepting bribes for votes, asserting that it was not politicians' money being distributing but "money looted from the public exchequer". Every election season, the poll watchdog has its work cut out for it in Tamil Nadu, which always emerges the epicentre of cash-for-votes allegations. More often than not, the state leads in terms of the cash and other items, such as gold bars and jewellery, seized ahead of polls when the Model Code of Conduct is in effect. In fact, till end March, Tamil Nadu accounted for one-fifth of the Rs 143.47 crore seized across all states and Union Territories — Rs 38.25 crore of the total was confiscated in Tamil Nadu. The Times of India quoted a former chief election commissioner as saying that cash distribution was "the main problem in Tamil Nadu" when the poll code is in effect. Now whether it is a "problem" depends on perspective — it's a win-win for those getting the money and those bagging the votes. Multiple cancellations of elections in Tamil Nadu — Vellore, RK Nagar, Thanjavur and Aravankurichi, in the recent past — expose the significant role that distribution of cash plays in the politics of Tamil Nadu. So much so that the poor voters now expect money for their support. With its well-oiled machinery to distribute cash during elections, Tamil Nadu poses a great challenge to the Election Commission during polls. 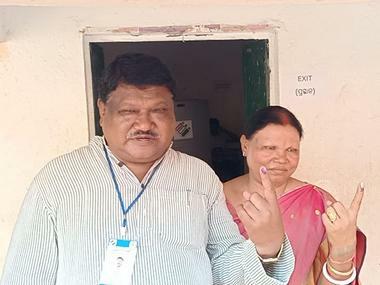 Instead of being deterred by the deployment of a large number of election observers and flying squads to stem the flow of cash during the polls, the perpetrators are only prompted to get more nifty and adopt more innovative ways to meet their end. This includes going to the extent of using ambulances and government vehicles as well as stuffing money in tyres. The streamlined cash flow system along with the unneglectable collusion of authorities makes it a near impossible task for the Election Commission to nip the problem in the bud. 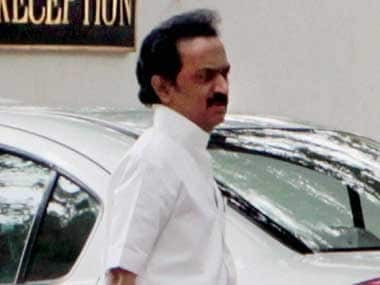 The high volumes of unaccounted cash seized also indicate the uncertainty and lack of confidence the two main Dravidian parties have in the voters of Tamil Nadu who had historically flip-flopped between the DMK and AIADMK. "Poor voters expect bribes from political candidates, and candidates find various ways to satisfy voter expectations. From paying to dig a community well to slipping cash into an envelope delivered inside the morning newspaper (famously known as the 'Thirumangalam formula'), politicians and their operatives admitted to violating election rules to influence voters," WikiLeaks noted in 2011. This emphasises how inherent the practice of distributing cash for votes is in Tamil Nadu. "Observers and participants see bribery as a fact of life in India's elections... Our experience in South India suggests that the practice of paying cash for votes is widespread, and that it is likely to swing the elections, especially close contests, given India's predominately poor electorate," WikiLeaks concluded. Whether it is a "fact of life in India's elections" could be debatable, but that bribery is the "way of life" in Tamil Nadu elections is a stark reality. Apart from bypolls, all Lok Sabha seats Tamil Nadu, besides Vellore, will vote in Phase 2 of the General Election on Thursday.